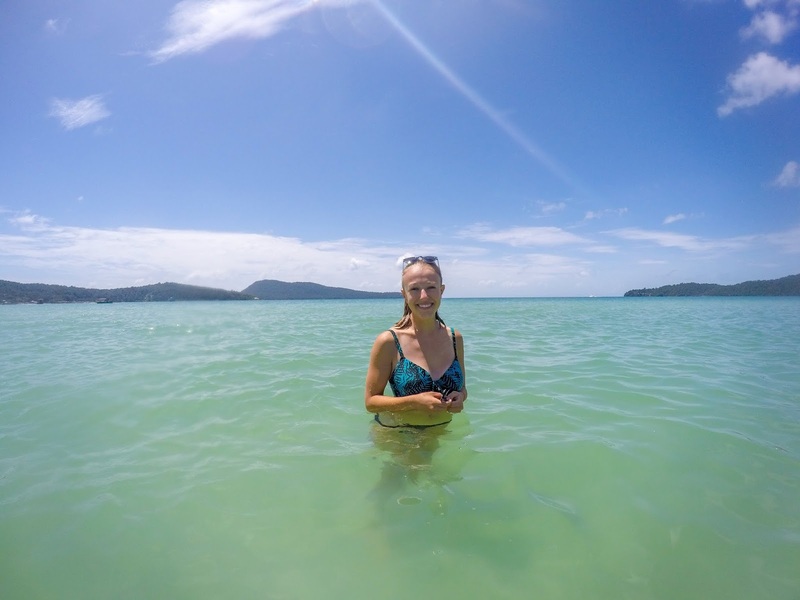 If you're coming to Southeast Asia for the stereotypical backpacker beach-side bars leading on to the white sand and looking out over crystal clear water, then Koh Rong is that and so much more. After stepping off the boat onto the island, I knew it would be hard to say goodbye to this place. As well as being a desert island paradise, this place has such a fun relaxed vibe with fantastic local people as well as fellow travellers. This is very much a backpackers island, which hosts full moon parties on a private beach as well as expat run booze cruises, but if you look in the right places you can still have a relaxing time here. We found by going on a boat trip run by an older expat with locals working with him that we had a magical experience with just as much booze but with a smaller amount of people, meaning it was a more intimate experience with plenty of room on the boat. If you want to get away from the main strip of sand, then don't be afraid to get off the beaten track as there are some beautiful secluded coves if you follow the footpaths through the trees along the shore. I've combined these two together as one because you normally can go on joint tours to these places, and I believe they hold the same level of importance, meaning you should ideally see them both. Now do be warned, this isn't a jolly walk in the park, but I believe it is important to respect people's history and remember what happened so it doesn't get repeated in the future. These two places were important locations during the Cambodian genocide by the Khmer Rouge. Please feel free to do your own research into what happened as this was a long and horrific period of time in the country. The Choeung Ek Genocidal Centre, otherwise known as the Killing Fields, is the site of mass graves of victims of the Khmer Rouge. Your free audio guide takes you through the history of the fields along with stories from people who survived the genocide as you walk around the graves. Standing tall in the middle of the site is a commemorative stupa filled with the skulls of the victims. This is an extremely sobering sight but an example of the harsh reality that so many innocent people died there. Out of the two, S21 was the more harrowing which really took me by surprise. 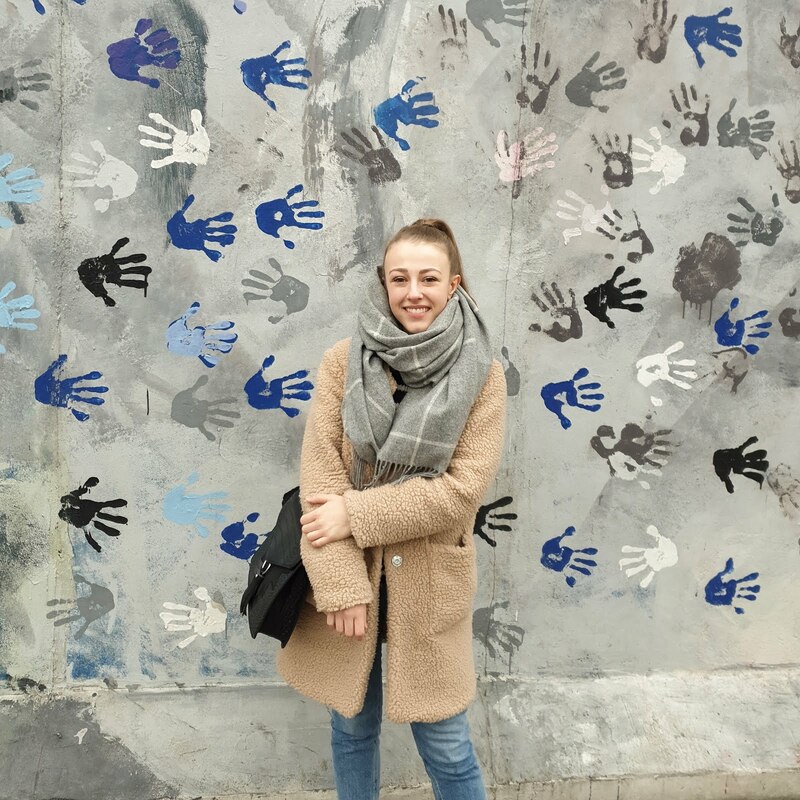 The main reason for this was because of the harsh realities that were shown to us while walking around the prison. 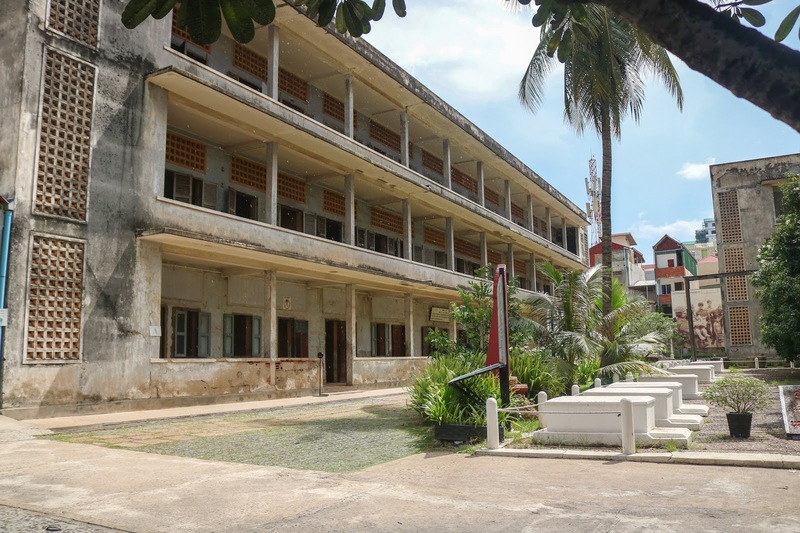 Tuol Sleng Genocide Museum was a high school before the Khmer Rouge turned it into S21- a security prison used to interrogate and torture prisoners. Again, you are given an audio guide which goes into great detail about the conditions and the lives of the people who were imprisoned there as you walk from room to room. Let me warn you- there are some really graphic photos on display, and at one point I had to walk out of one room as I couldn't cope with the information in front of me. Don't be ashamed to let your emotions show, as the events that happened there were truly horrific, and I saw quite a few people crying as a result. Before leaving the museum, they sometimes have one of the three survivors in the courtyard willing to talk to people. I seriously regret not going over to talk to them, but at the time I couldn't put into words how I felt about what happened to them. I believe all the survivors have written books about their time at S21 and I would highly recommend buying one of their books to show your support if you don't get the chance to meet them in person. The neighbour of Koh Rong, this island gives you more honeymoon Maldives vibes than backpacker haven. This island has the steriotypical 'desert island feel' written all over it, with the weak WIFI signal and slightly more expensive food prices to boot. However, don't let this put you off taking the short boat trip over. 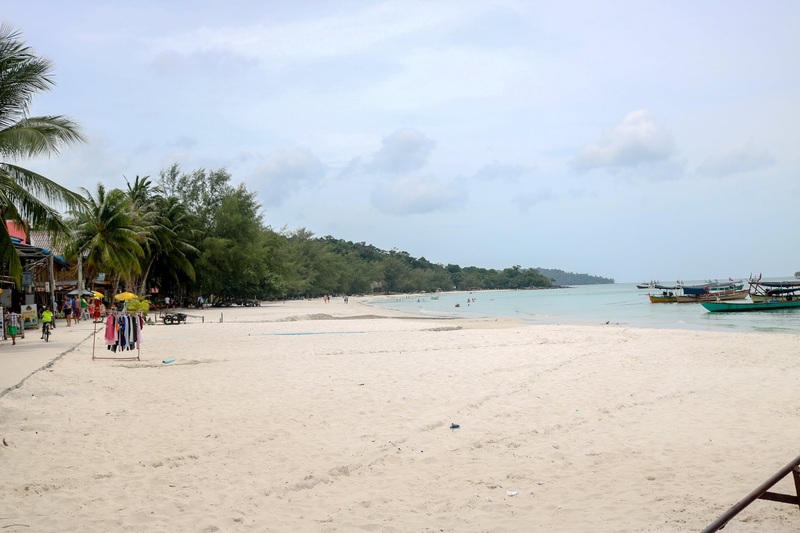 After the wild few days we'd had on Koh Rong, we found Sanloem to be the perfect places to unwind and relax away from the noisy bars and full moon parties. The water here is crystal clear and very shallow, with only a small ripple in the water from passing taxi boats. There isn't a huge amount to do on this island aside relaxing on the beach, but if you've been travelling long term then this comes as a welcome break from worrying about time management and money. Everything you need will normally be based around your hotel and as you're paying slightly more in your living costs, you can the 5-star service to go with it. Definitely put aside some time and money to experience this beautiful island, as it's not one to be missed! No first-timers trip to Cambodia would be complete without a trip to the temple complex of Angkor Wat. 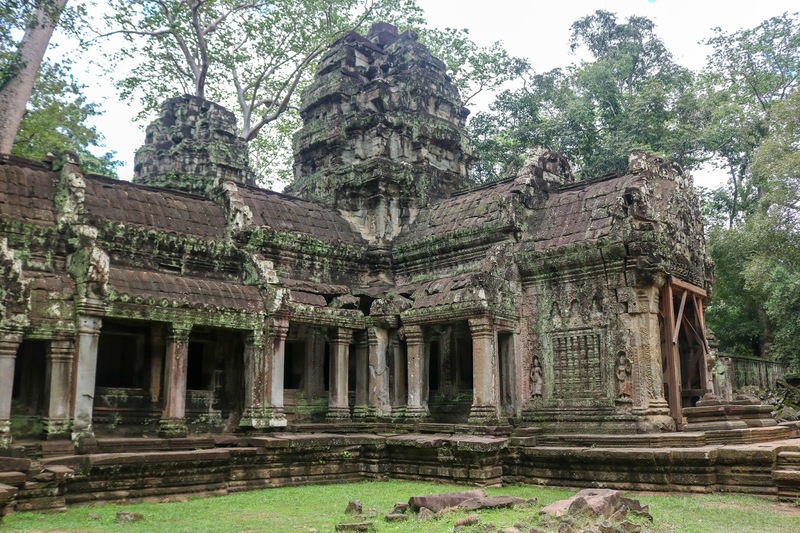 Also known as the 7th Wonder of the World, these magnificent temples are the postcard of Cambodia and have to be experienced at least once in your life. Put aside some money in your budget for your pass (you can choose between a day, 3 days or week-long pass) and find a tuk-tuk to take you around (we heard $15 dollars a day was the average price) and you're set to go. With our fantastic driver, we found that we could get round to see everything (sometimes more than once) in around two days, and gave us loads of time to wander through the many temples, admiring the stunning architecture. The main circuit takes you to the main Angkor Wat temple, which you cross a floating bridge to get to and is the place to watch the sunrise if you have clear skies, as well as Bayon (my favourite temple), Ta Keo, Ta Prohm (location from the Tomb Raider film), and Banteay Kdei. We were able to get to see all of these on our first day, but be warned- this circuit is rammed with tourist groups during the main part of the day. One great way to experience some of the busier temples without the crowds is to go and watch the sunrise, and then go on to one of the popular ones in the main circuit to experience it with only a few other people around you. Once you have seen the temples on the main circuit, then I highly recommend going to see the temples on the outer circuit. You will get around these ones a lot quicker than the main temples, but this allows you to revisit other temples. As you ride out of North Gate of Angkor Wat, you will come to Preah Khan, one of my favourite temples here as you feel like you're walking for miles through so many intricate hallways and courtyards and has huge trees growing into the walls a bit like at Ta Prohm. 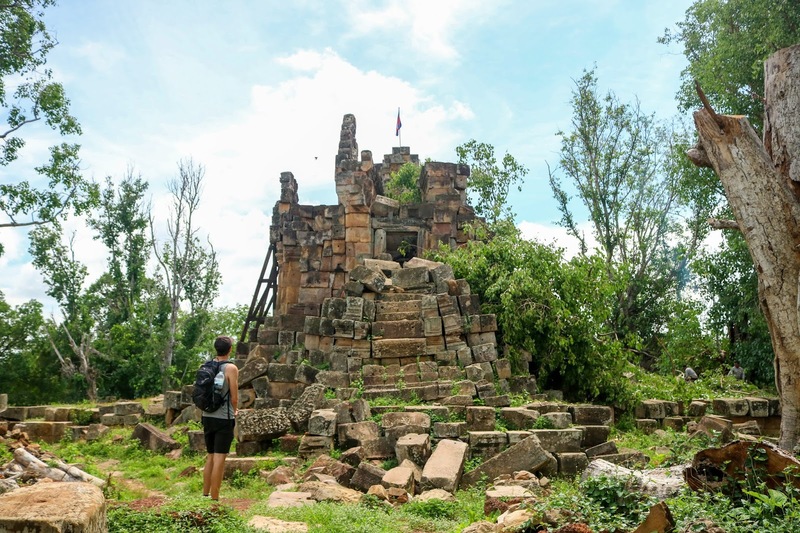 As well as Preah Khan, you'll find the island temple of Neak Pean, the tiny temple of Ta Som, East Mabon with its stone elephant statues and Pre Rup which is the best place to watch the sunset. 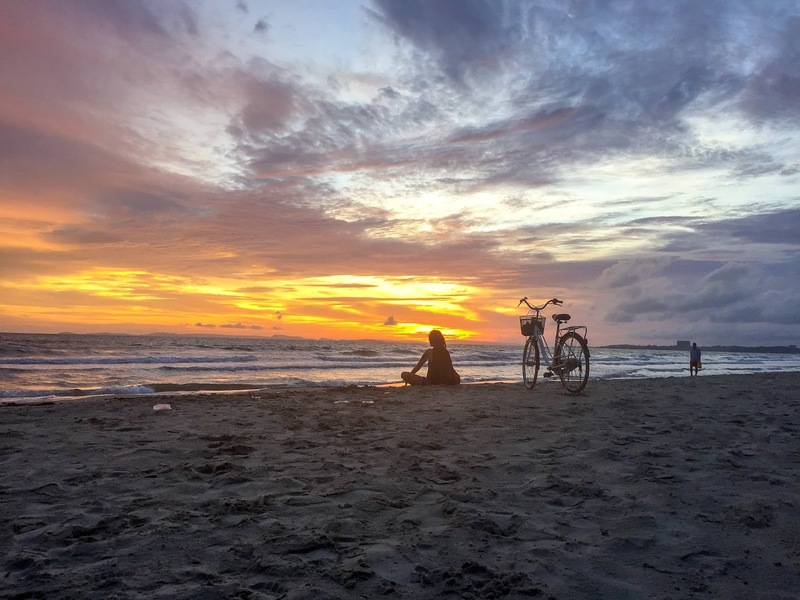 When you head to the south of Cambodia, you are bound to hear of Sihanoukville, as it is the jumping-off point for Koh Rong and Koh Rong Sanloem. It's not the prettiest place and is mainly known for its casinos and bars. If you're looking for a quieter place to stay on your way to the islands, then Otres Beach is a little gem. This strip of pristine sand is mainly a local haunt, with a handful of hostels and boutique bungalows set back behind the coastal road. Like Koh Rong Sanloem, there isn't a huge amount to do here- it's more of a relaxation spot but there is a little local market behind the hostels. One of my favourite memories from here is, after a full day or two of rain and storms that took down the internet and some of the sheet metal roofs from the restaurants next to us, we took a stroll down to the beach and watched the most incredible sunset while drinking beers. Couldn't get more 'traveller' if you tried! To the west of Angkor Wat, you'll find Battambang, a city that is bursting with history and culture. While there isn't a huge amount to do in the city itself, you will fall in love as you walk the streets lined with colonial buildings and find ah-mazing food in laid-back cafes. 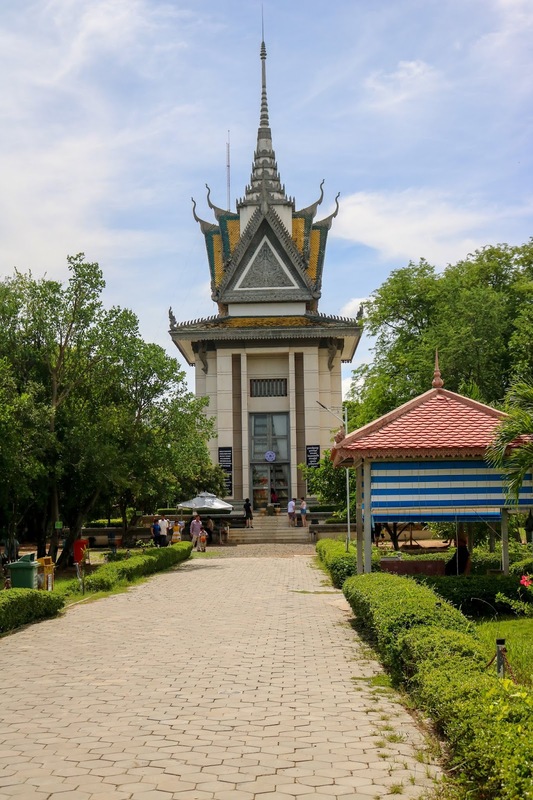 The main reason why people head to Battambang is for the things to see around the outskirts of the city, that you don't get to experience easily anywhere else. First, there's the bamboo train that the locals use to get from village to village. There's nothing more fun than whizzing through the countryside on a single track railway at about 30mph! 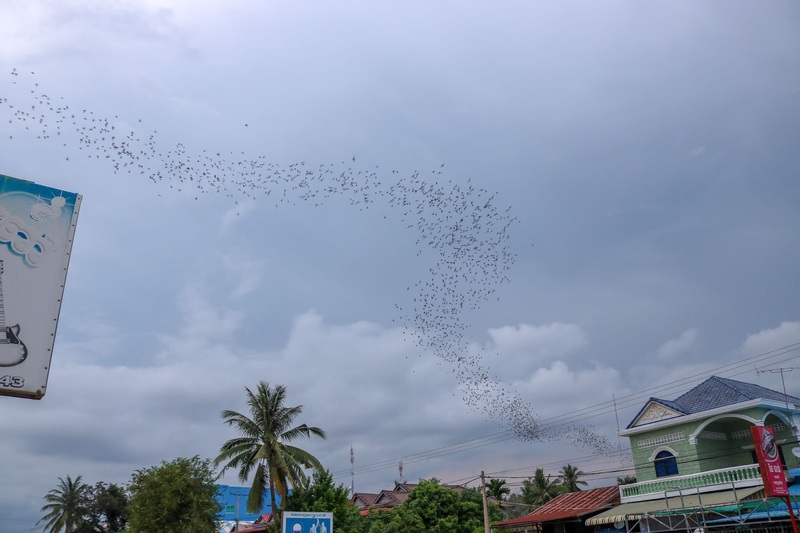 As well as fantastic temples such as Wat Phnom Ek (with ruins similar to Angkor Wat) and Wat Samroung Knong, you'll also find the incredible bat cave at Wat Phnom Sapeau where, at dusk, you're treated to an incredible show in the sky as thousands of bats flood out of the cave in formation into the sky on the way to feed over the fields. You can normally book a tour through your hotel, and the thing we loved was that as you have your own guide, they're very flexible in where you want to go! 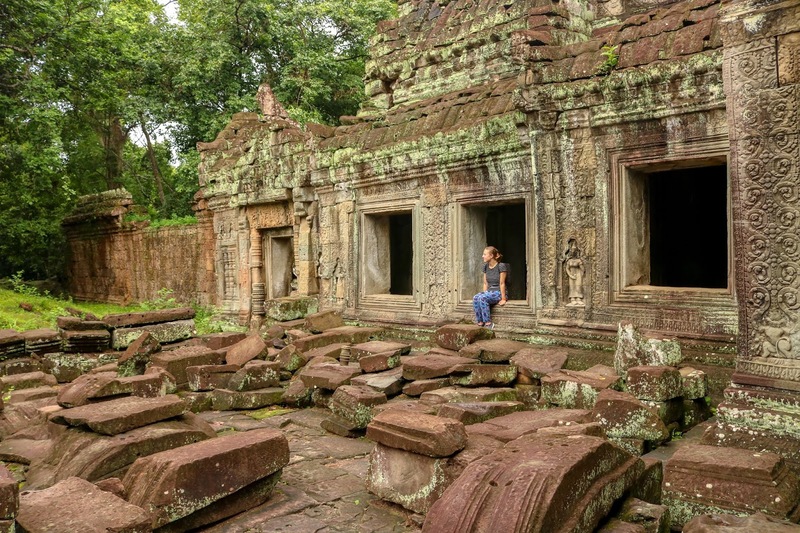 So those are 6 of the best things to do (in my opinion) in Cambodia! I hope you found this helpful if you're looking at travelling to Cambodia, and do let me know if there are any other places that need to be added to this list. Don't forget to follow me over on Instagram to keep up with all my latest travels! I've always wanted to travel to Cambodia! You need to go, it's a pretty cool country! S-21 was beyond brutal Georgie but you need to visit to feel the experience. Rough, but a must visit spot. Otres Beach was fun; we enjoyed eating at the restaurants on the path leading to the beach. Excellent post.